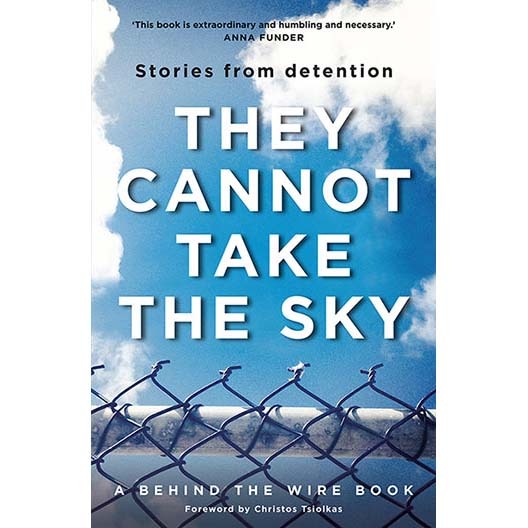 Revealing, moving and confronting accounts of the reality of life in mandatory detention by those who’ve experienced it. For more than two decades, Australia has locked up people who arrive here fleeing persecution – sometimes briefly, sometimes for years. In They Cannot Take the Sky those people tell their stories, in their own words. Speaking from inside immigration detention on Manus Island and Nauru, or from within the Australian community after their release, the narrators reveal not only their extraordinary journeys and their daily struggles but also their meditations on love, death, hope and injustice. Their candid testimonies are at times shocking and hilarious, surprising and devastating. They are witnesses from the edge of human experience. The first-person narratives in They Cannot Take the Sky range from epic life stories to heartbreaking vignettes. The narrators who have shared their stories have done so despite the culture of silence surrounding immigration detention, and the real risks faced by those who speak out. Once you have heard their voices, you will never forget them.